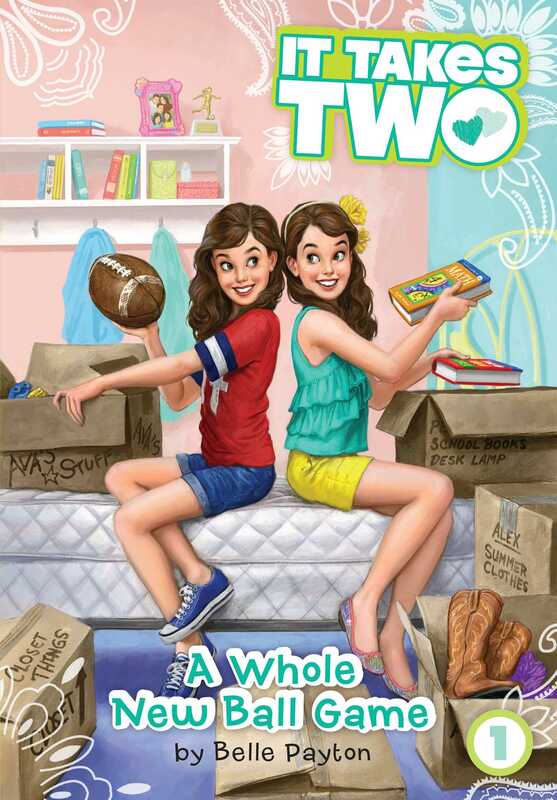 Middle school gets multiplied in this new series about twins Alex and Ava, whose father is the coach of a small-town Texas football team! When twelve-year-old twins Alex and Ava Sackett move from the East Coast to Texas so their dad can coach an elite high school football team, they have to get used to not only a whole new school and town, but also the fame that comes with being football’s first family. They’ve got a plan to make it through: stick together! Because even though Alex and Ava are total opposites, they’ve always stuck together. But then Ava cuts her hair short, and Alex fears that Ava wants a new town to mean a new start—as an individual. At the same time, Alex’s concern has Ava wondering if she’s no longer cool enough for her twin. Are Alex and Ava still the same dynamic duo they’ve always been, or are they headed down different paths?